Save $$$$ With Our . . . 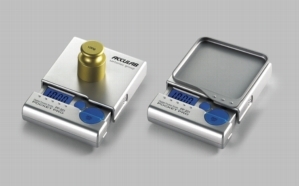 The PV-Series is for handy weighing on the go! Carry it in your lab coat or shirt pocket and it is ready when you are! Available in four ( 4 ) different models. Battery operated. Prices start at $ 99.00. Click here for more specifications (pdf brochure). Model HJ-150 is a compact pocket scale suitable to carry with you anywhere in your pocket, bag or briefcase. Reads in lb or oz. Batteries and 100g calibration weight included. Protective cover can also be used as a weighing pan. 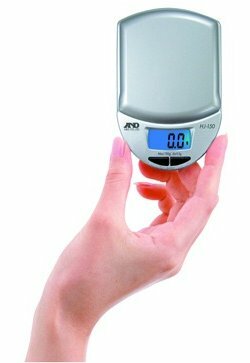 Model PB-500 Pocket Scale weighs in grams, ounces, pennyweights and troy ounces. 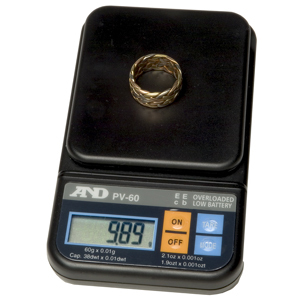 It also has a simple counting function for counting small items. Auto-power off mode saves on battery life. Rugged top plate cover helps to protect weighing platform during transit. Operates on two ( 2 ) AAA batteries - included. Weighs in grams, ounces, grains or carats. 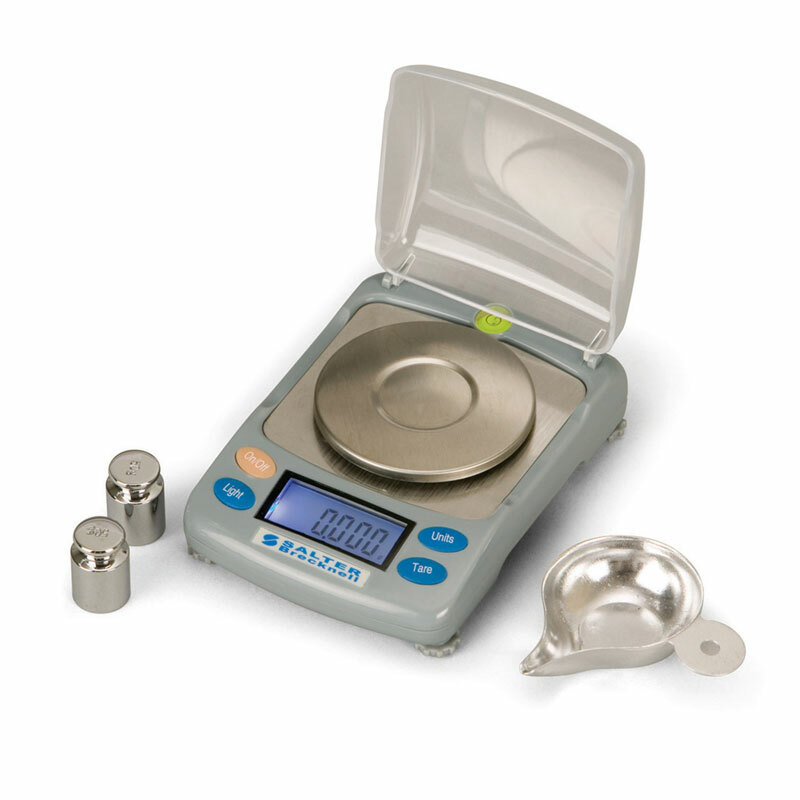 Includes weighing scoop, AC adaptor, batteries and calibration weights. Choice of two models: standard or high resolution. The Pocket-Pro Series have been developed for portability. 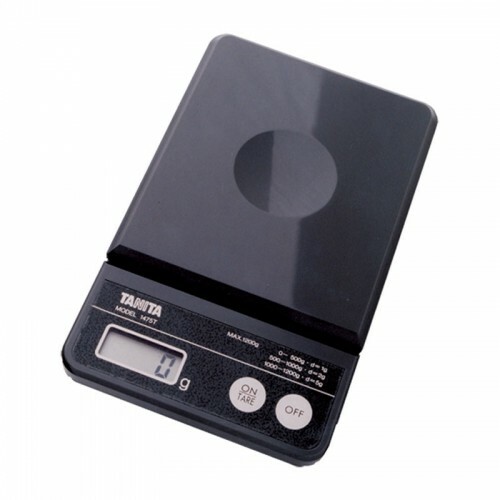 These scales are ideal for remote or "on the go" applications. The unique side closure mechanism locks the weighing pan during transport to prevent damage to load sensor and/or backlit display. individual items. 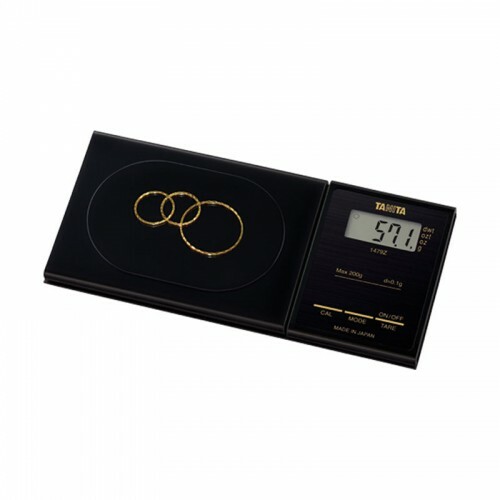 Includes adjustable leveling feet, soft jewelry case, gem cup, 100 g calibration weight, USB port. Operates on four AA batteries or AC adaptor (both included). Model 1475T from Tanita features precision engineering and quality. Weighs in grams or ounces. Operates on three ( 3 ) LR44 "watch" batteries - included. Model 1479Z from Tanita features precision engineering and quality workmanship. 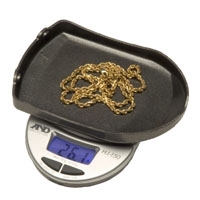 Weighs in grams, ounces, troy ounces and penny weight. 200 g x 0.1 g capacity. Operates on one ( 1 ) lithium battery (CR2032) - included. The Model CRD-150 Credit Card Scale. Tiny yet rugged . . . accurate too! Choice of 4 weighing modes: grams, oz, dwt, ozt. Includes: Hard plastic top to protect instrument when traveling. please visit our Medical Scales section. for any application at the lowest cost . Call us today at 1-800-836-8445.